The perfect solution to clean up and protect the wiring in your vehicle.The laterally split design allows for easy installation over splices and inline connectors without exposing wires and cables. Resistant to the majority of chemicals and automotive fluids. Available options in sizes from 1/8’’ to 2’’ in various lengths, including bulk. They are also available in chassis and fuel injection kits containing everything you will need to cover your harness. ClassicBraid is a lightweight cloth like material, yet it has a rugged smooth texture and appearance. The knitted construction provides good drainage, while maintaining superior abrasion resistance. The 25° overlap allows for optimum wire protection. shape and rigidity. 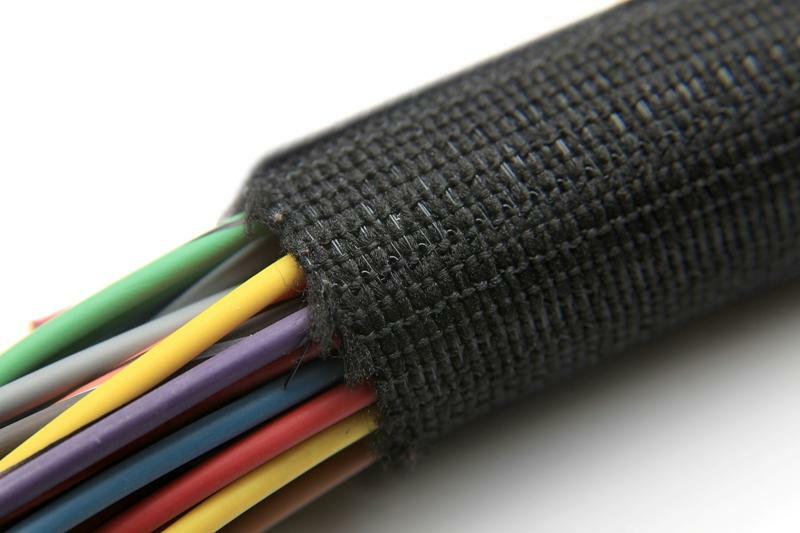 The 25° overlap allows for optimum wire protection without the need for any additional fasteners (Velcro, tape, etc. ).